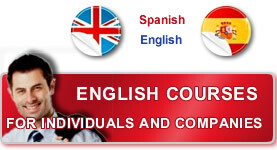 Advance Uruguay offers training for Cambridge BEC (Business English Certificates). If your English language ability is sufficient for most simple communications, such as shopping, you may consider progressing towards BEC. You should have an understanding of, or interest in, the world of work, business and commerce. The BEC exams are aligned with Levels B1 to C1 of the Common European Framework of Reference for Languages — an internationally recognised benchmark of language ability. The framework uses six levels to describe language ability, from A1 to C2. 'Can Do' statements have been used to describe these levels in terms of real skills with language, such as being able to write a report, or take a telephone message. This means that preparing for BEC will help you develop real-life skills and the confidence to use them. BEC is also linked with the UK Qualifications and Curriculum Authority's National Standards for Literacy, within the National Qualifications Framework (NQF). For more information regarding these examinations, please click here.